Desertification is seen as one of the most pressing issues affecting the lives of millions across the arid and semi- arid regions of the world. It is a consequence of a series of land degradation processes, where water acts as a limiting factor for land use patterns of the ecosystem. However, owing to the current rate of human activities, this natural process has accelerated in its timeline and is posing serious risks of decreased productivity and food insecurity. This post underlines the causes and impacts of desertification. It also traces the initiatives taken by Watershed Organisation Trust (WOTR), in combating desertification and ensuring sustainable livelihoods for the communities. A matter of discussion, A discussion that matters! It’s 17th June. It is the World Day to combat desertification and drought. Since 22 years now, WOTR has contributed to fight land degradation and water scarcity in the wake of climate change. Each day we strive to treat and heal the land through Ecosystem Based Watershed Development, Natural Resource Management and Climate smart agriculture in the dry lands of rural India. As professionals in the development space, we must consciously reflect on our actions and introspect whether we practice what we preach in the name of sustainable development. With this in mind and as a part of an organisation that fights desertification and drought, we decided to have a discussion on what each of us understands by desertification, how we perceive WOTR’s work in this regard and most importantly, what can be done individually as well as unitedly to fight the concerned issue. Through this post we bring to you excerpts of a stimulating discussion that yielded stimulating results. Located on the bank of the river Mula that flows through the Sangamner taluka, Borban is a small, prosperous village with the population of 600 persons. 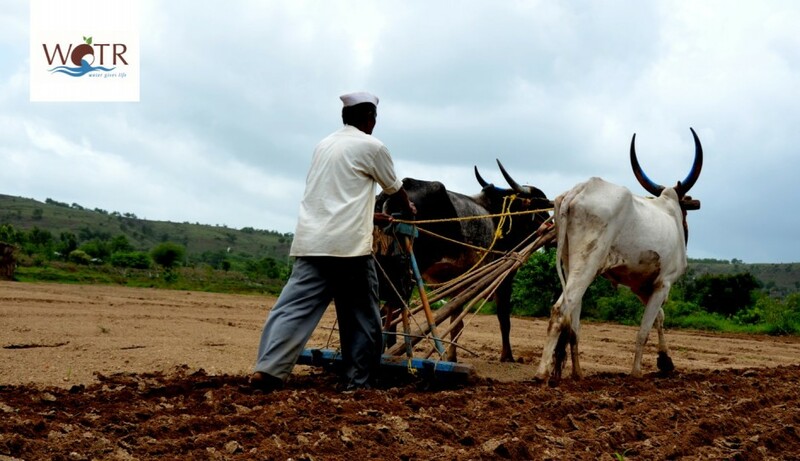 The majority of the village is engaged in agriculture and more than 95 percent of the farmers in the village belong to the small and marginal landholding category. While Borban has without a doubt benefitted from its rich resource endowment, one must also recognize the role that agricultural entrepreneurship has played. Further taking a gender perspective allows us to peel back the veneer of prosperity and ask whether indeed all is well in Borban?